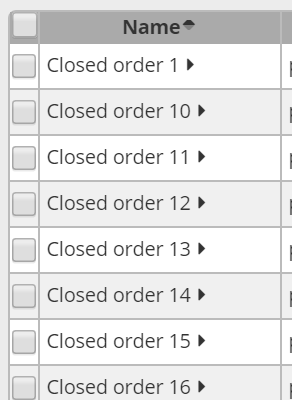 Clicking on a column header will sort the sort the data in ascending order. Another click will sort in descending order. A triangular icon indicates the sorting direction. In the Enterprise Edition the sorting is automatically stored on the server: see Customizing a report. When you reopen the report later on, the report will open with the sorting as when you left it.